Letter writing is an important instrument for a community organisation to have in its toolbox. With this book, that tool becomes sharper and multifaceted. 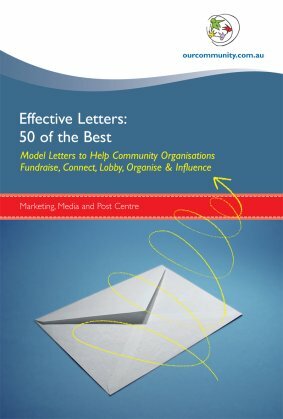 Effective Letters provides 50 templates and a multitude of ideas that will assist you to improve your letter writing skills, marketing, and data storage and use. It provides tips on personalising your correspondence, increasing its impact and effectiveness. This is a 'must have' resource for any community group.